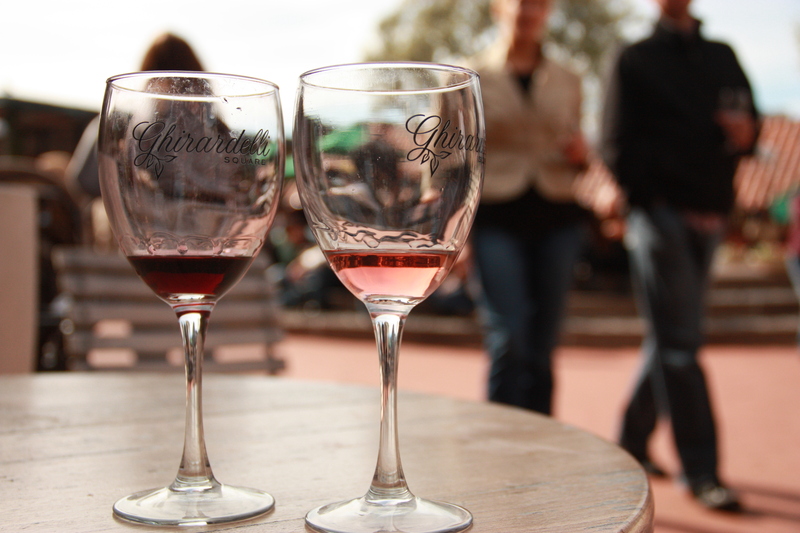 Nothing beats those leisurely weekend trips to Napa, but it’s always a treat when you can stay local and the wineries make their way to the city. 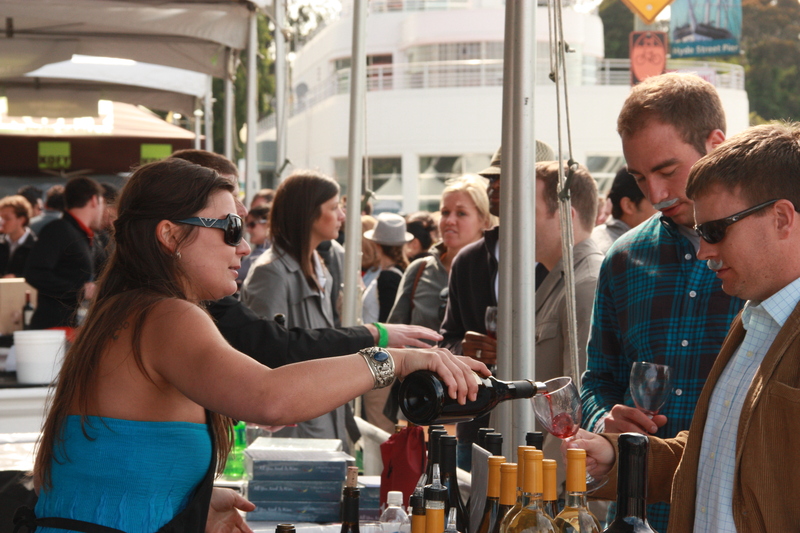 Saturday was the 5th annual Uncorked! 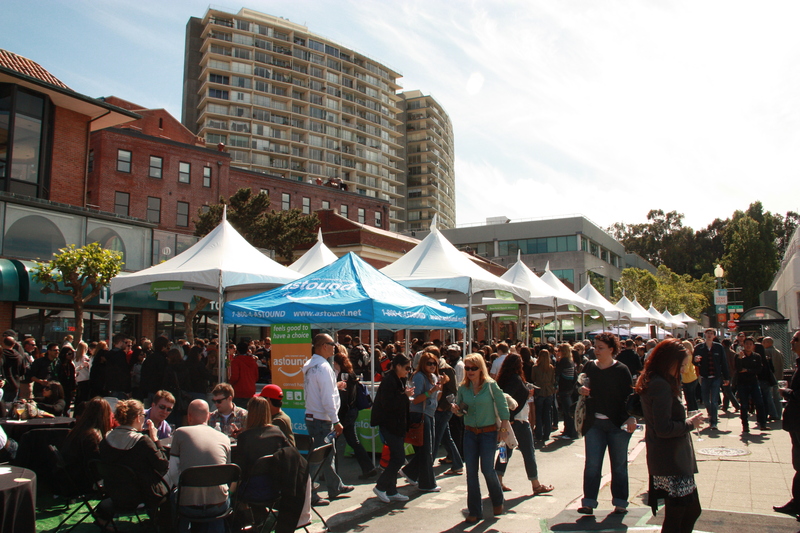 festival in San Francisco where more than 40 wineries set up booths along the wharf and in Ghirardelli Square for an afternoon of wine-tasting under the sun. I’m hardly a real wine buff, but I definitely enjoy a good glass every so often, and I usually kick myself when I find one I love and forget to write it down. 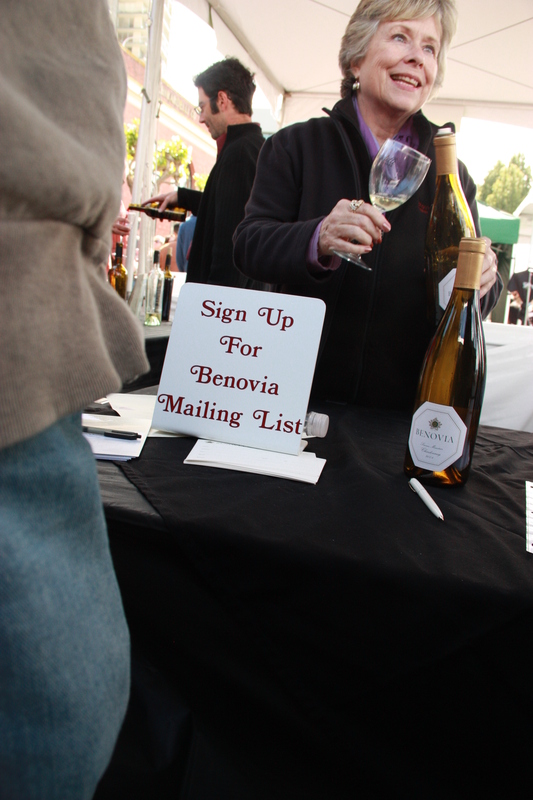 Of the dozen booths I stopped by for a sip, the most memorable wine I tried was a 2008 Sonoma Valley Chardonnay from Benovia Winery in Russian River Valley. If you’re into whites, this one was light, buttery and had a soft finish. I’ll definitely be on the lookout for this one during my next dinner out. If you happened to miss the festival, there’s still good reason, even as a local, to check out the recently renovated Ghirardelli Square. I’m a huge fan of the San Francisco beauty brand Elizabeth W, which has its only freestanding store there. Try their classic Sweet Tea body cream, a blend of oriental black tea and sweet almond honey, that’s moisturizing while still being light, and not overly cloying. You’ll also find an adorable assortment of porcelain teapots, jewelry and modern paper goods at the shop inside the Crown and Crumpet Tea Salon. 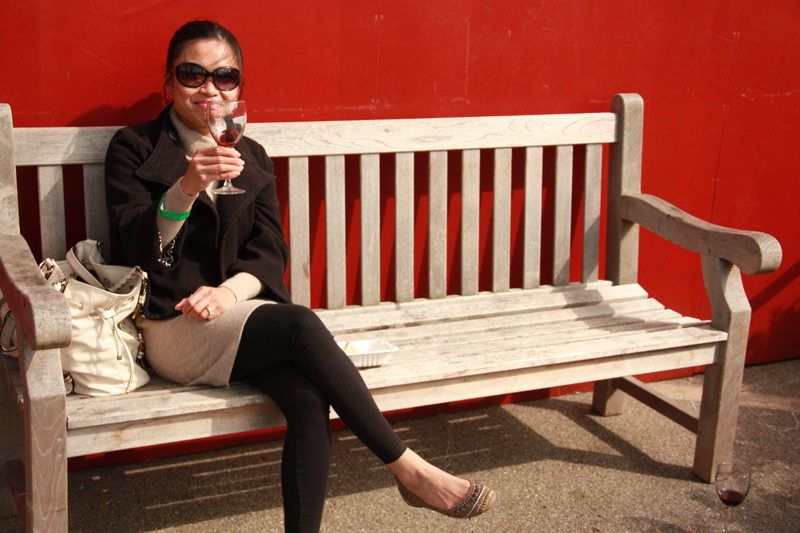 Savoring a glass of rose from Stags' Leap under the sun. All photography by Edric Itchon. I also have fond memories of the Fairmont Heritage Place, where I stayed the night before my January wedding with my bridesmaids and with my husband on our wedding night. The property has a handful of gorgeous apartment suites for rent overlooking the Bay, among its for-sale condos. The digs are spacious and luxurious and the service is impeccable. I’d recommend this treat, even for city-dwellers, for that special getaway!